RE the IT job market: Ace tech kid graduates with all the accolades and top of his class. Scores an interview with a top coding firm and blows confidently through every exec interview, one by one. He figures he's a shoe-in for this well-paid position; only one more interview. In comes the old crumbucket HR Director, who states "I only have one question for you. What would you say is your greatest weakness?" Kid stumbles for a moment, and says quite plainly "My honesty." HR guy grumbles and says "What, I asked you what you thought your greatest weakness was. Kid repeats in a confident tone, "I am sure it's my honesty." HR guy gafaws again and says, "That makes no sense. I don't think honesty is a weakness." Kid shouts "I don't give a @$&^@ what you think!!" Actually, if you wrap the water tankage around the living space, you can greatly attenuate the radiation threat. You need a fair amount of water but then you also need a long haul spacecraft so we might as well wish for both unicorns at once. A lot of those human factors issues are solved if you can maintain fairly steady acceleration. If you had a magic ship that could accelerate at 1g for a whole day, that’s a delta V of 864000 meters per second (or about 2 million mph). That simplifies a lot of the logistics enormously. Earth humans can be very tedious. @BobCross I think that's the only sensible way to do it. You start in Earth orbit, keep accelerating constantly up to the halfway point, then turn the ship round so the engines are pointing forward, and keep decelerating for the second half of the journey, until you drop into the orbit of your destination planet. how far to proxima b? and would take how long? Also, time dialation applies to the people on board this magic ship. They age slower than the universe around them. yeeeaaaah but wouldn't it be better if it was? so we'd be traveling at .5c for 23.9 years plus accelerating and decelerating for a total of 17.5 years, so... more like 37? ish? years from the point of view of the travelers? There’s an example like that on the Wikipedia page. You have to know who’s frame of reference you’re looking from. @BobCross I tried reading Einstein's theory of relativity. It starts of nice and simple, then gets really complicated! So, the Santa that we've been going to for the past 5 years just died. Ha, sorry! We're not sure if the kids will notice or care. Oldest is 5.7. They aperantly got a replacement santa, so we can still go. Sad tho. @RoryAlsop We got back some standard test scores, and that's what they labeled her, so I'm sticking with it. They know better than I do. @RoryAlsop, heh, my birthday is easy to calculate based on the current year, so I never actually remember how old I am. I always think what year it is and figure it out. @RoryAlsop All hail our emperor, the great old one! @Pᴀᴜʟsᴛᴇʀ2 thinks that tire manufacturers are lying, dirty cheats. @RoryAlsop Just getting his attention for later. Wanted to argue about the tire grading tests they do for treadwear. @RoryAlsop Kinda interesting. TLDR of the wiki article... They buy a "standard tire" from the government, then they take a fleet of cars and drive a 7200 mile circuit of roads in West Texas and compare the wear of their tires to the standard. A: Is there a simple metric to compare tire lifespan? @RoryAlsop, link in that answer. speaking of tires, wouldn't different tires affect a skid pad test? i.e. the lateral g measurement with the stock tires could be wildly different from a different tire? @RoryAlsop, I can't believe they do 7200 miles on public roads. Thats 120 hours at 60mph (typical average highway speeds). @Ceshion I think the manufacturer has to use OEM tires. The tires they plan to sell on the car as standard equipment. @RoryAlsop The one here is government run, so its totally possible there's not a Euro version. And 50k miles is more of what people want. Unless you're a long-haul trucker. My argument to people "If it's raining and a child runs out in front of you, will your budget ditchfinders stop you as quickly as decent tyres"
@NickC Ok, noise is a good one. The US does grip and a temperature/speed rating. @RoryAlsop the old saying... Don't cheap out on anything that connects you to the ground. That, and you don't really need power to get better, tighter feeling handling. @JPhi1618 exactly. However we are petrolheads so we get that :-) normal folks do seem to see it as a cost. I'm not gonna lie, I try to get tires that will last a while because most of my driving is boring highway stuff. If I had cooler places to drive, I might start spending more. Well, that and it's hard to find sport tires for the minivan..
Google is getting pretty clever. And sarcastic. That's when you know AI is getting a little too good - when it starts mocking you. @Myself, does it have to be from Amazon? Well, I guess you are in Europe? Have you looked around on banggood.com? I see picks on their recommended a lot (and some crap too). Lockpicking lawyer had a good review of those. Out of stock, but something to start looking from. @Ceshion actually, that sort of thing is an optimizing problem in the target motion analysis domain. A gradient search “guess and check” methodology will produce a useful approximate intercept solution pretty quickly. ... In other news, I am a huge nerd. @JPhi1618 I assume you are into lockpicking? @Myself I've been watching some youtube videos lately, but never bought any picks. I've used some home-made tools to get in to some locks as a learning exercise. I want to get into it more. @JPhi1618 - Its not that I think tire manufacturers are dirty rotten scoundrels, it's just that you can't get two in a room together to have a consensus. @Pᴀᴜʟsᴛᴇʀ2, heh yea. I was surprised when I re-read it with your comment in mind. If they let the manufacturers do their own testing, its not going to be apples to apples. I guess, each one would cheat as much as possible, meaning the numbers are still comparable? Well, last longer than their tire with a 40K... I still don't think you can compare between manufacturers. They assume that X% (a higher number) will never think about the warranty after the purchase and will never make a claim. I think you should take a holistic approach, also into taking account reviews from consumers. Tires go round and round. @JPhi1618 I wasn't specifically looking at the warranty, but rather just the idea of the warranty longevity. @Pᴀᴜʟsᴛᴇʀ2, so, your opinion, do you think that you can even kinda compare the ratings from brand to brand? Would you not care if a Bridgestone was rated at 700, and a Dunlop was 500? I don't know. I have opinions about certain brands which I won't buy. This taints my view of them, so it factors into the mix. I'm sure others have their opinions as well. Personally I probably wouldn't be comparing Dunlop or Bridgestone in the first place, because I wouldn't even be looking at them. I'm very opinionated about tires. Very few brands I'd even look at in the first place. It doesn't mean my opinion is right for everyone, but it does work for me. Michelin sux, Pirelli 4 ever! Michelin's are great tires for the most part, they are over priced for what you get, though (IMHO). No idea what to do with the new battery charger question... Is that even on topic here? Barely if at all. Oh well. I'm going in with an answer. @Zaid you should get some exercise then! I set myself up there, didn't I? 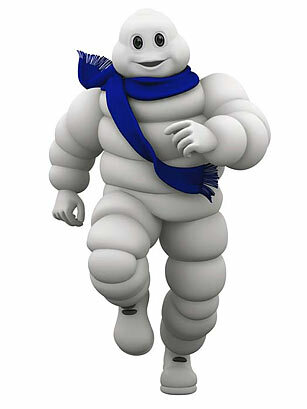 We have a michelin man baby... so many chub rolls. @JPhi1618 that’s a good baby. Lots of skin for that skeleton to grow into. I had those babies. Solid packed pumpkins! @BobCross Yep, our first one was in the 99th weight percentile, and has stayed in the 90s for height. Current baby is in the 90s as well. They grow into it tho! Tall and slender. Our second guy was quite the chubs. It looks like his height is going to top out a little less than me. That still makes him a tall strapping lad. No longer the chubs! Speaking of which, the wife sent me to work with the Xmas candy that she wanted out of the house. OMG. I am going to explode. @BobCross, doesn't she realize what's going to happen? @BobCross - The idea behind this is so everyone else at work explodes ... you aren't supposed to personally eat it all. She has red hair so she was clearly sent by the devil. My Daughter-in-law has red hair ... I'm sure my son agrees with you most days, lol. @JPhi1618 - Get OUT! Get out NOW!!! They keep being sweet and making me food! Well, that's not a bad tradeoff. @JPhi1618 Dude. I just explained the whole “explode” problem. You’re basically doomed. Devil wimmin! We were talking about tires earlier today. Funny thing was, I was actually at the tire shop having a new set put on my truck during that exact time. They had the truck up on the lift and was inspecting things. The wheels weren't spinning freely as you'd expect (brakes were dragging). So, I've ordered a new set of calipers. These are rebuilt ones, but were cheaper than new OEM ones. They have new guide pins in the caliper brackets, which I would have had to purchase as well. @Pᴀᴜʟsᴛᴇʀ2, I guess I just have it on my brain, but the product image, without me reading any words, looked like some kind of robot Santa Claus. @JPhi1618 - That's hilarious! Since you mention it, I can see it, lol! My eyes saw that first, and I stared at it for a minute before I read any words. Very confusing there for a second. "it doesn't have a Cadillac converter"
It's not going to run like the Cadillac of cars without one of those. @JPhi1618 - As opposed to a Lincoln converter or a Chrysler converter? Man, there's no performance in those... Gotta have the Cadillac. I just really don't know how people can post stuff of such low quality. I mean when in your life would that be OK? I know I've said it before... it just baffles me every time. Not the catalytic/Cadillac part, - the question as a whole. I wonder when people put information (or lack thereof) into a question, if they should really be working on their own cars. Some people admit they just want to know what's wrong, but they plan on taking it to a shop. That I have no issues with. And if you think that's bad, you should see some of the super-low quality electrical questions on DIY. Actually, I don't have an issue with someone working on their own car, just worry about them hurting themselves. @JPhi1618 - Oh, I've seen some of them (may have written one as well). What's a waste spark design? more than the needed plug fires? like 2 at a time? Those poor, wasted sparks. Never seeing the beauty of internal combustion. You'll see one coil, with two spark plug leads going out of it. On the Bonneville in question, there'd be three coils. Ok. Old GF had a Saturn I think was like that then. 4 cyl with two coils. It's not a bad idea, but I like coil-on or coil-near setups with one-for-one (coil to cylinder). Just looks better, lol. One of them crapped out. Engine would idle, but car had almost no power at all. Is that random knowledge or in response to something? I wonder if the employer could use the "everything you worked on using company property is ours" argument to force you to open it. After all, what would you be hiding on a work computer anyway? But its not yours, and there shouldn't be any expectation of privacy. Ok, cool. Certainly a lot of you guys around. @NickC Yea, I know. It was the gammar and format of the question as a whole that makes me wonder. Well, I do keep that in mind. @Pᴀᴜʟsᴛᴇʀ2, I know... We're infested with them. Rory too. At least they're not unfairly taxing us like they used to. @BobCross That's good. I wonder if the newer generation has more of a problem because of all the appliance computing devices they use? Hmm, yea. Now that I think about it, "kids these days" might automatically assume they shouldn't do personal stuff on it if they're used to picking up any ol' device laying around to work on. Exactly. The reverse is usually the problem: don’t do work on your personal machine because OMG the hammer will come down. That said, I did get the bigger phone so I could google for software engineering blogs (blocked by firewall). @BobCross - There is so much they don't allow through at my work. There's a process to allow them to open the site, but it's prefaced by "as long as it's work related" or some such. @motosubatsu - Same same ... everything is prefaced by "If you're on here, we own you."